USB DUAL-BAND SPECTRUM ANALYZER + CHANALYZER + EYE P.A. Recommended for enterprise or mission-critical Wi-Fi network deployments, the Diagnose & Optimize toolkit from MetaGeek helps you defeat connectivity and interference issues once and for all. 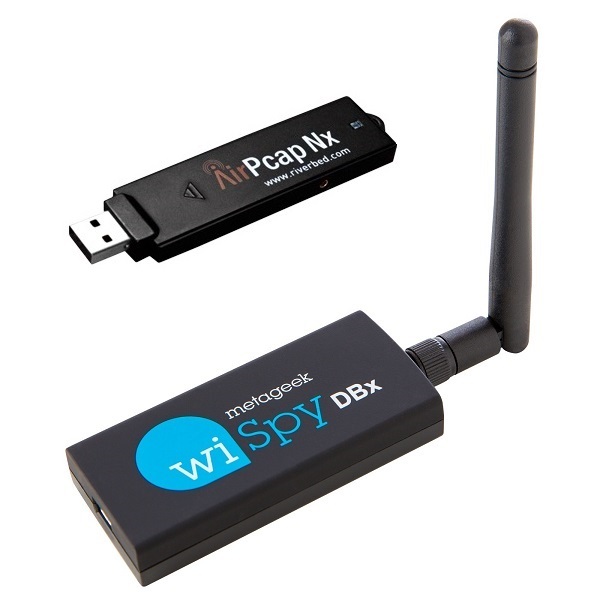 Chanalyzer + Wi-Spy is a spectrum analysis software and hardware combo that helps you diagnose Wi-Fi issues at the RF layer by scanning the 2.4 and 5 GHz spectrums for interference and optimal channel placement. Eye P.A. is a packet visualization software that helps you optimize your throughput by analyzing Wi-Fi traffic channel-by-channel, so you can solve network configuration problems at the packet layer.